Quality at farms is carefully controlled and Catfish are tested for taste. Less "muddy" than their wild counterparts, the fillets are also perfect serving sizes. Quick to cook and sweet in taste, this is a great fish to try if you are branching out from flounder for the first time. In a non-stick skillet, sauté bell pepper, onion and oregano in 2 teaspoons olive oil til soft and slightly browned. Place in covered dish to keep warm. Add remaining oil to pan. Sauté catfish fillets 2 to 3 minutes on each side. 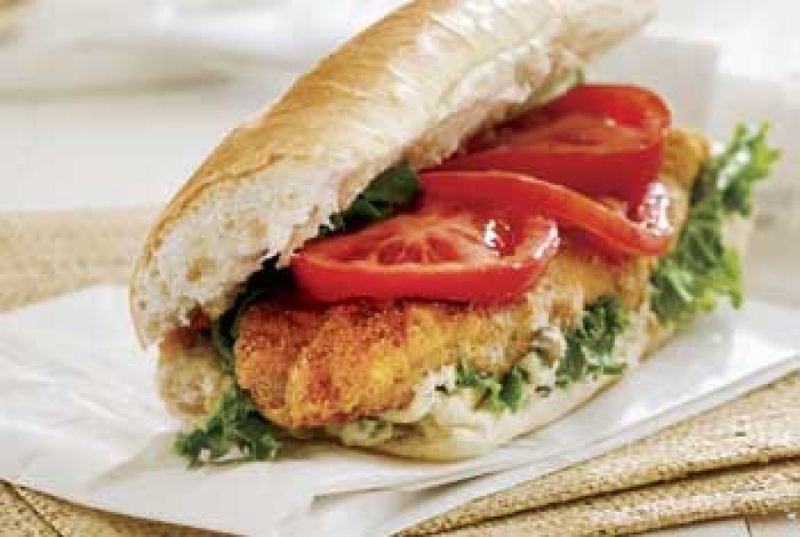 Assemble sandwich with fillet, sautéed onion and pepper, and top with tartar sauce. Serves two. Heat one inch of vegetable oil in deep frying pan on medium to high heat.Cut catfish into one inch strips and soak in milk, with a shake of Tabasco if desired. Season cornmeal with salt and fresh ground pepper. 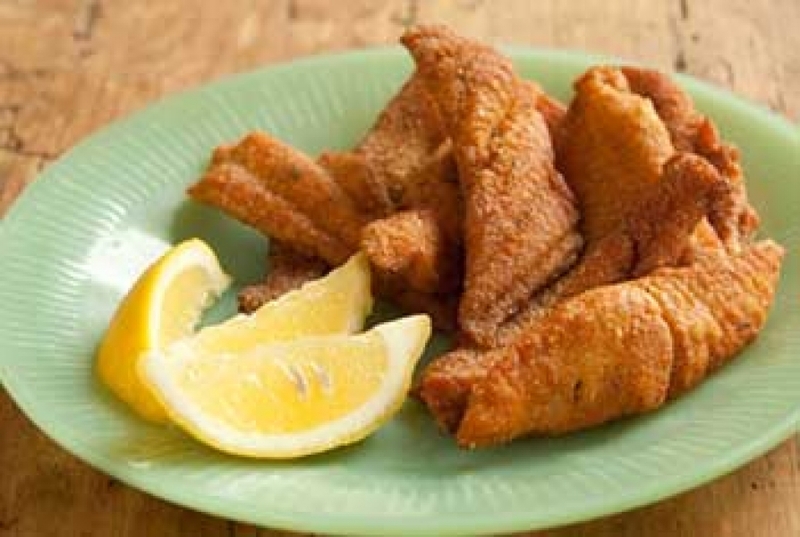 Dredge catfish pieces in cornmeal and shake off excess. Fry in oil 2 to 3 minutes until golden brown. Dry on paper towels and cover to keep warm until all are done. Serve with tartar sauce for dipping. Serves two.